Ceramic tiles in a bathroom come with amazing benefits. While ceramics are permanently installed, tile paint tends to fade over a long period of time. Ceramic tiles styles also tend to go out of fashion making your bathroom unappealing. In the event of such, you can always breathe some life back into your bathroom by painting old tiles. There are many beautiful ceramic floor tile paint to choose from in the market. 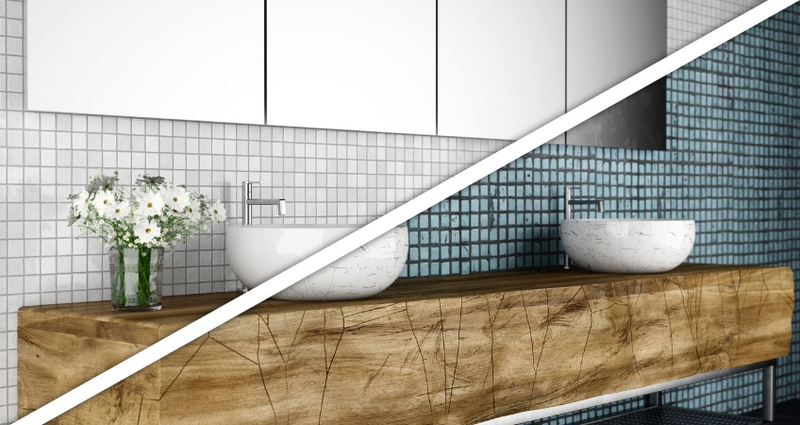 You only need to choose the best colors to revamp your bathroom. 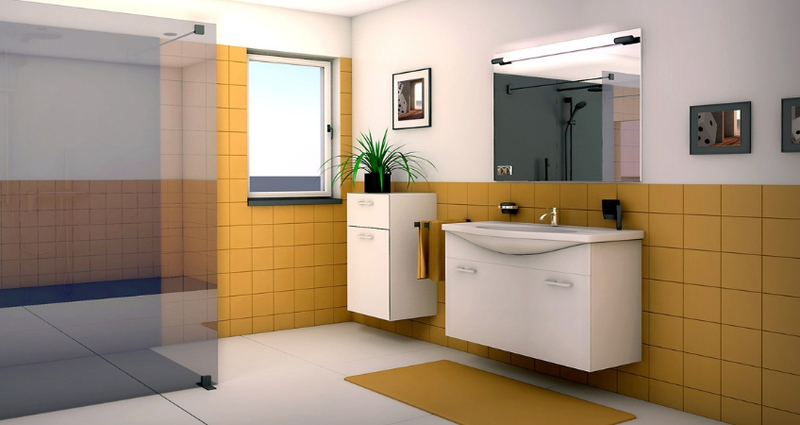 Bathroom tile paint allows you to update your bathroom and explore different possibilities of making the room fresh. Remember, getting rid or removing old tiles can be time-consuming and costly. However, by simply painting over ceramic tiles, you save a great deal on time and money while enhancing the look in your bathroom. The need to avoid painting in high moisture or high traffic areas of your bathroom. Avoid painting floors and countertops. It is wise that you focus on bathroom and kitchen tile paint projects that target where water hardly comes into contact with the paint. Similarly, keep in mind that most tile paint colors blend well with ceramic tiles, as long as you do not subject the painted area to heavy wear and tear elements. 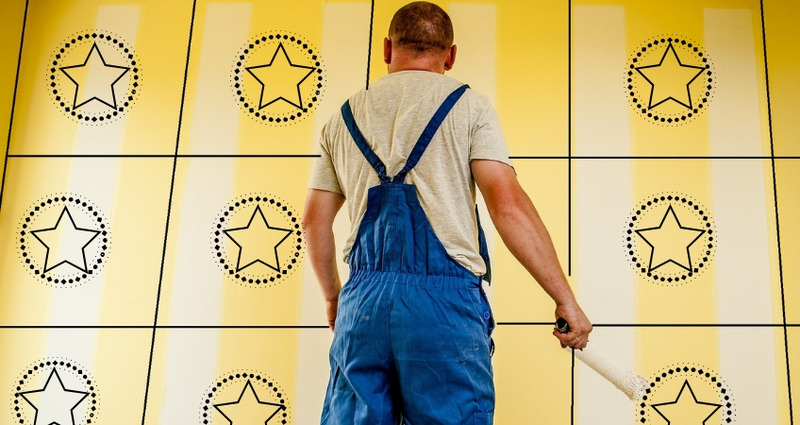 Depending on the type and quality of ceramic tile paint you choose, the end result will vary. In this light, choose high-quality paints and finishing products for an exceptional end result. What are some of the paints to choose from? You can choose alkyd enamels paints. Silicon-based paints, tile cover-up, grey shower tile, and water-based or acrylic paints. Depending on the option to settle for, these paints are available in two processes or two-part paints and sprays even if you need light grey tile paint sprays. Most importantly, choose primers that match with the type of paint you want for your bathroom. You can always ask your paint expert for some of the best top coat paints to add a more professional touch to your house. Sponge, metal brush, rag or drop cloth to protect all adjoining areas. Paint primer to help enhance paint adhesion. Different types of finishing and sealing including urethane. Waste cloth to clean and remove any visible paint stain. Sanding ceramic tiles before you paint is essential as it helps to clean them up. This will also help the tile primer to adhere on to the surface. Clear all crap, dirt, mold, grease and any other visible dirt on the tiles using an effective home detergent. Sanding also helps to enhance the look of dull surfaces in your bathroom hence making it easier for you to paint the floor. After sanding, use a clean rag to get rid of any excess cleaner on the area you want to paint. You also need to fix any cracks, chips and any other surfaces that could possibly prevent efficient painting. Most importantly, use the right products to repair damages. You may use epoxy and caulk but ensure to follow the manufacturer’s recommendations to dry up the repaired areas before you paint. 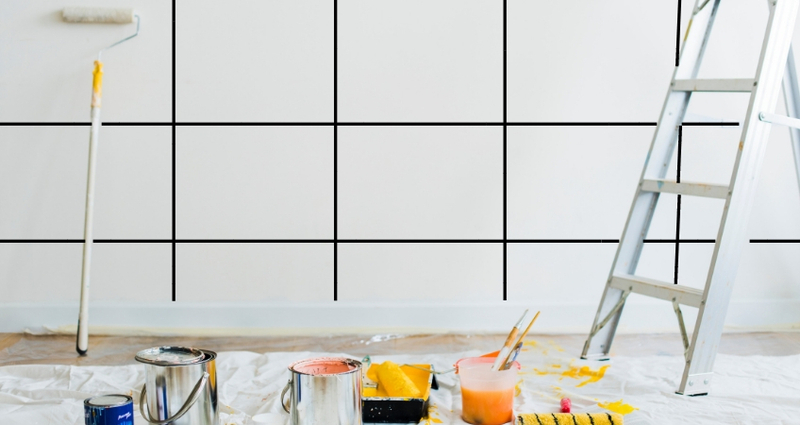 As with most painting projects, go for the best tile paint and use a tape to protect areas adjacent to ceramic tiles. After cleaning and drying your floors or ceramic tiles, test your tile primer paint. Choose an inconspicuous tile to go for and test whether it will blend well with the paint you choose. If you are not sure on how to paint bathroom tile primer, you can always refer to the directions indicated in the container. It will guide you through the bathroom ceramic tile paint application procedure, the cleanup and dry time. 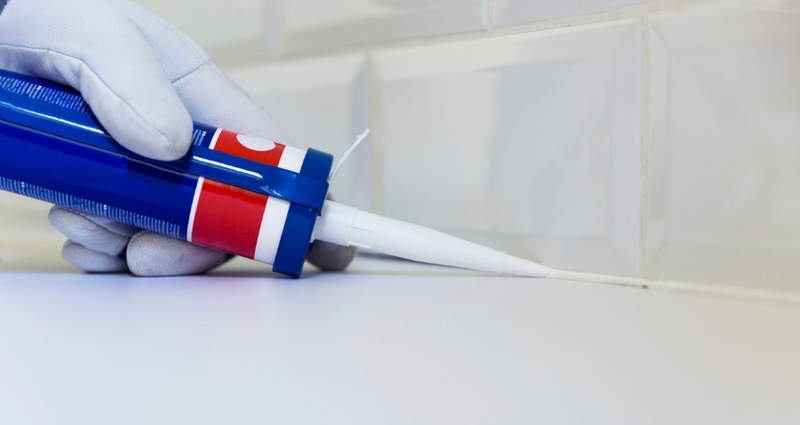 With the primer application, you will determine whether the bonding of the bathroom floor paint and the primer bonds well. 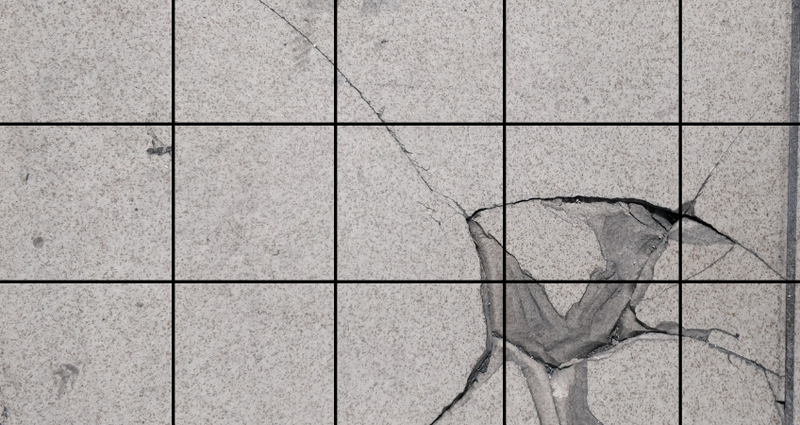 One thing to remember when planning how to paint tile is that if the bonding of the primer is poor, then the whole painting process may not be satisfactory. Therefore, take time to use a primer that guarantees the best bonding quality end result. When applying the primer, ensure to use a small roller and a painting over tiles brush simultaneously. Just ensure that you start rolling and brushing from the far end of the room as you closely work towards the door. When you recoat, use the same procedure for seamless results. Painting the tile is not a hard task. If you need some guidelines, you can always refer to the instructions on how to paint tiles in the kitchen in your paint container. Remember, you also need to blend the colors for a beautiful look in the room. 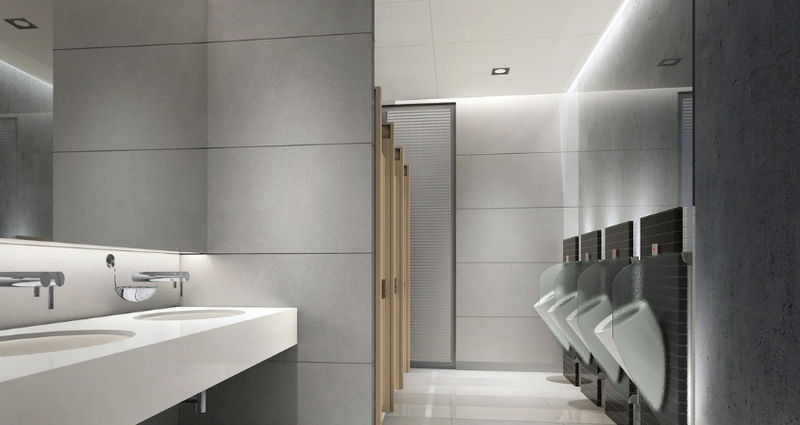 If the color of the tiles is grey, determine what color goes with grey tiles in the bathroom. If it’s white tile paint or grey tile paint, consider colors that will provide the best ambiance in the room. You may want to explore different tile paint reviews and learn more about waterproof bathroom paint. You will understand more on what to paint and what not to paint. With a proper understanding of painting ceramic tile floor processes, it becomes easy to achieve the desired look in the room. You should always start on the grouted areas. Always paint from top to bottom and from side to side to ensure even coverage of all tiles. If a second coverage is needed, keep in mind the type of paint you are using and focus on how does tile paint work for an extended life. Consequently, cover bathroom tile with paint, apply a second coat and allow it to dry. You can let the first application to dry first before the second coat. It helps to provide an even finish. It is important to seal the tile after painting it. Whether you choose to use tile spray paint, ceramic spray paint or porcelain bathroom tile paint, this will help the paint to last long. You do not want a wall tile paint project that will wear out after a few months. For this reason, take time to seal the paint and enhance the durability of your paint. You can also use polyurethane to seal your paint even though it is way thicker to use compared to ordinary top coat paints. The whole process of painting kitchen tile floor or even adding a touch of pink tile bathroom is something that will add an instant value to your home. Take time to choose the best products and know when you can paint tile to help maintain the aesthetic appeal of your bathroom. With these simple tips on how to paint over tiles, the question remains can you paint bathroom tile with green tile paint, pink bathroom paint, and blue tile paint? The truth is there are many bathroom color ideas to explore when it comes to painting ceramic tiles. You only need to choose colors and primers that will adhere well. When you are thinking of whether to remove paint from tile, you should keep in mind that that painting over ceramic tile is much better than removing or replacing the tiles completely. What’s more, learning how to get paint off tile takes a shorter period of time. It is also a task you can conveniently complete on your own. Ceramic tile paint UK is also durable and it can be used as kitchen tile covers. In this case, you only need to choose the right kitchen tiles color for that great look in the room. As it is the rule, always use waterproof paint for shower and the kitchen because they are high traffic areas that are also prone to water spills. By using the best shower paint and waterproof paints, you can be sure of a painting project that will last long. Having the right shower tile paint on your ceramic comes with amazing benefits. It enhances your shower floor tile, adds life to your dull bathroom and it prolongs the life of your ceramic floors. With amazing paint my bathroom ideas to explore, you can always personalize the look in your bathroom. Remember, changing the whole interior style of the bathroom only needs using the right paint and quality finish materials. Explore the best colors and textures that blend well with your ceramic tiles or your bathroom walls. If you have a new interior project, choose colors that will complement each other to complete the look in your house. You can also take tile paint before and after pictures to see the kind of improvement new paint adds to your bathroom tiles. For exceptional and quality end result, hire the services of J&A Tiling. J&A Tiling is a professional ceramic tiling expert that guarantees quality services that will meet and match your exact home improvement needs.